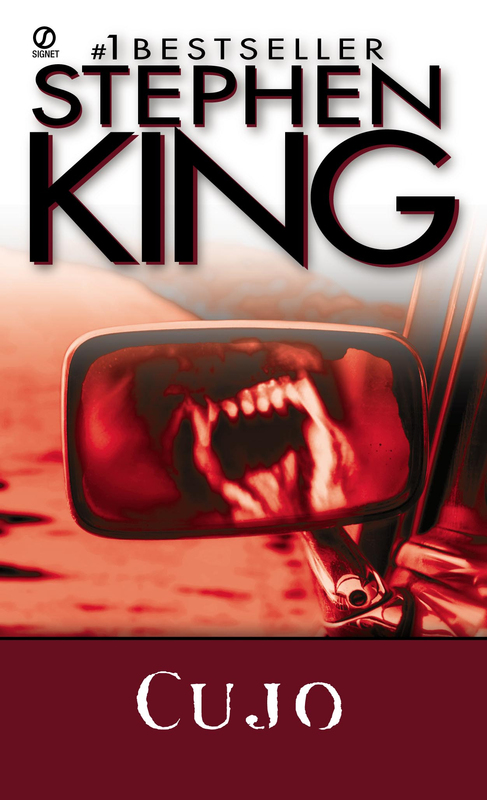 Book number three from my bracket is Cujo by Stephen King, in which a rabid dog kills four people and terrorizes a mother and young son trapped in a broken-down car. Growing up, Cujo was one of those books (and movie) by Stephen King that was considered too graphic for my young disposition. This was, of course, before my grandfather decided to sit my little sister and I down to watch Pet Semetary one day. All I remember about Cujo is that it was about a big scary dog, and I shouldn’t watch it because we had dogs and there was no need to be afraid of them. Now that I’ve finished the book, I could maybe see how this would have left a lasting impression on me when I was young. As with most of King’s work, I fall right into his rhythm of storytelling. I so appreciate his attention to flesh out small details that other authors would simply pass over to plow ahead with the action. This depth and nuance is what brings me back to King over and over again. While writing Cujo, from what I understand, King was in a bad spot. Drinking heavily throughout most of the process, King allegedly does not remember writing much of the story, which then left him wide open for negative criticisms. Some have said this was one of King’s laziest works, others say it was just filler. I disagree, and rather suggest Cujo be looked at again for further consideration. If free will is not a factor in the things we do… how can we ever be held accountable for our actions? Are we all propelled through our lives without any choice in the matter? (Do all roads lead to The Tower? Do we all serve The Beam?) Perhaps trying to always do the right thing is all we can do to convince ourselves that we are autonomous. Or maybe it’s just an excuse.